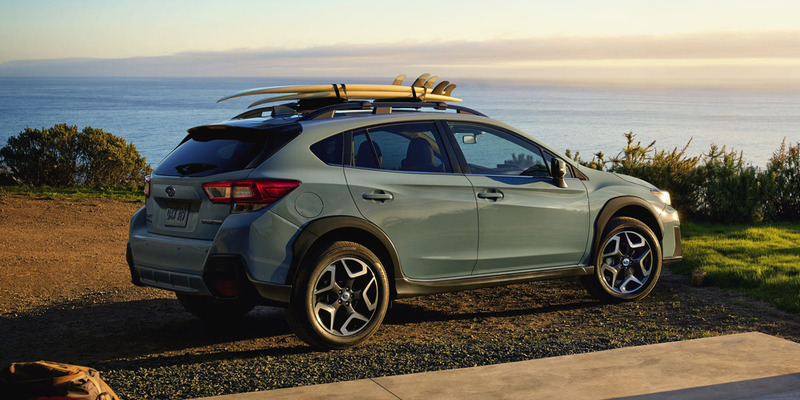 CG Says: After last year’s redesign, the 2019 Subaru Crosstrek makes EyeSight Driver Assist Technology available on the base model with automatic transmission. EyeSight includes pre-collision braking, adaptive cruise control, and lane-keep assist. EyeSight, reverse automatic braking, and self-dimming headlights are now standard on top-trim Limited. A plug-in hybrid version of the Crosstrek is expected later in the model year. The Crosstrek is based on the hatchback version of Subaru’s Impreza compact car (which itself was redesigned for 2017). To the basic Impreza platform, the Crosstrek adds SUV-esque styling touches (including rugged-looking lower-body cladding) and a raised ride height (Crosstrek has a generous 8.7 inches of ground clearance). Though it straddles the line between a compact car and a compact crossover SUV, we categorize it as the latter. The Crosstrek’s sole engine choice is a 152-horsepower 2.0-liter four-cylinder paired with a 6-speed manual or CVT automatic transmission. All-wheel drive is standard. Available features include pre-collision braking, lane-departure warning and mitigation, blind-spot alert, rear cross-traffic alert, keyless access and starting, adaptive cruise control, and newly available rear automatic braking. Crosstrek is a fine combination of car-like driving refinement and SUV versatility. It’s a little short on power, but it delivers respectable fuel economy. If you can’t decide between a compact SUV or a compact car—or you’re just looking for a sensibly sized, all-weather family vehicle that offers some light off-road capabilities—the Crosstrek is a good value that is well worth a look.